Crooked Creek Multi Service Center was established in 1987 as one of 13 human services agencies under the Community Centers of Indianapolis (CCI) umbrella. A small staff provided services to low and moderate income families from their "little white house" on Township Line Road until purchasing the concrete block building at 71st and Michigan that was the former Steak 'n Shake training center. Services have continued to expand to meet the growing needs of a highly diverse and growing community. After undergoing a major renovation and expansion, programs today serve citizens of all ages-from toddlers-seniors. The center continues to grow and meet the needs of various demographics. 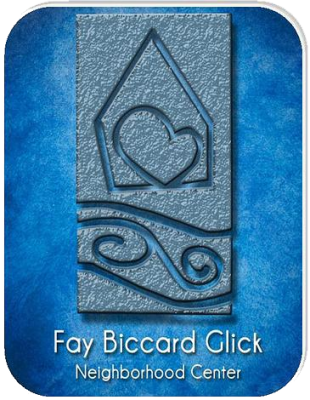 Fay Biccard Glick Neighborhood Center is the model provider of human services in Central Indiana valued by its clients and community for its responsiveness, collaboration, compassion, creativity, and commitment to improving the human condition. Creativity—Innovation, creativity, and experimentation are essential to solving intractable problems. Access—Neighborhood-based human services allow the greatest access, best response and most cost effective way to serve the disadvantaged. Partnership—Collaboration is essential in fulfilling our mission. Accountability—The Center is responsive and accountable to our community and stakeholders. Service—The expressed needs of the poor and vulnerable must be part of any effort to improve the community's quality of life. Fay Biccard Glick Neighborhood Center is the nothern most center in the Indianapolis area. In general, we serve residents living between I-465 on the North and West, 38th Street to the South and Spring Mill/White River to the East. The center has adopted the model “Family Campus” which will focus toward improving the quality of life of clients from cradle to Recycled Teenager (infant to senior) through programs that promote intergenerational engagement, health, diversity, and programs for all ages.